Welcome to March on the Inky Friends “Blending a Year of Cheer” Blog Hop! Weren't Sara's Piggy Valentines cute? Or maybe you came from Shelley's April Projects. This dresses up a bottle of wine and uses some fun products that are available now. I started with the Half Full stamp set and a Foil Snowflakes from the 2017 Holiday Catalog. The base of the tag is a 2” wide piece of Rich Razzleberry, punched on the top with the Scalloped Tag Topper punch and on the bottom with the Banner Triple punch. The next layer is a piece of DSP from the Wood Textures DSP Stack that is 1-1/2” wide and also punched with the Banner Triple punch. On this layer, I stamped a wine glass with Memento Tuxedo Black ink and colored in with both shades of the Rich Razzleberry Stampin’ Blends markers. The white layer was inked with Rich Razzleberry and Garden Green Stampin’ Write markers. For creating the topper, cut out just the center of a gold Foil Snowflake with paper snips. Pull that down over the neck of the bottle. Tie the tag on with some 1/8” gold ribbon and you are ready to wow a friend with a beautiful bottle of wine. This card starts with the Color Me Happy Project Kit. I used a Rich Razzleberry card base and layered on one of the white and Night of Navy dotted tags, tied at the top with white twine. Onto a piece of Whisper White, I stamped the tag sentiment and large wine glass from the Half Full stamp set using Memento Tuxedo Black. I colored these images using the Night of Navy, Old Olive, and Rich Razzleberry Stampin’ Blends markers and fussy cut each. These layered on top of the card base, popping up the tag with Stampin’ Dimensionals. This card is a perfect choice for any wine lover. This card features the Mixed Drinks stamp set from the Annual Catalog 2017-2018 and die cut pieces from the Hearth & Home Thinlits (shelf) and Large Numbers Framelits (banner). I stamped several types of glasses onto Vellum Cardstock with Memento Ink and heat set. When dry, I colored the back side of the glasses with Light Old Olive, Light Soft Sky, and Dark Crumb Cake Stampin’ Blend markers and cut each one out. I placed the glasses on the shelf with a wood wall behind them from the Wood Textures DSP. I carefully used a light touch of the Fine Tip Glue pen to glue them in place, but this will cause the ink to run and show through the vellum, if you are not super careful. I die cut one banner from Thick Whisper White and one from a page of the Coffee Break DSP and extended the white bottom layer by snipping in the center and pulling to each side. For the sentiment I turned to the Jar of Love stamp set, which had the perfect combo for the outside and inside of my card. Inside I showed a full pint of beer and a stemless wine glass, colored with Rich Razzleberry, Daffodil Delight, and Bronze Stampin’ Blends markers. This card will be a perfect card for my husband! It wouldn’t be March without a nod to St. Patty! On tap this time is the Mixed Drinks stamp set from the Annual Catalog 2017-2018. I stamped the frothy beer mug and the word bubble with Memento Tuxedo Black onto Whisper White. I crafted some green beer using the Old Olive light and dark and a touch o’the Light Bermuda Bay Stampin’ Blends markers. Fussy cut out those two elements and use Stampin’ Dimensionals to place them on top of a Garden Green card base, a strip cut from the Wood Textures DSP stack, and a 2” wide tag from the Coffee Break DSP (punched on the bottom with the Banner Triple punch). I created the lucky shamrock from the small heart in the Cookie Cutter Builder punch – punching 4 times from Garden Green cardstock and carefully arranging with the Fine Tip Glue Pen. I creased the centers with my thumbnail for that final touch. May the luck of the Irish be with you! This card will be perfect for my favorite person born on March 23rd. I placed a strip of Thick Whisper White in the Celebrate Textured Impressions embossing folder from the Celebrations Duo and ran it through the Big Shot. I prepared my Stampin’ Blends markers starting with Light Pool Party at the center and scribbling lightly and quickly in the center section with the brush end. Next I added Dark Pool Party on each end of that, followed by Light Old Olive at each end, and Dark Old Olive on the outside edges. I went back with the lighter colors and blended where each color overlapped to create a pleasing blend. Be careful to work on the side of the marker and lightly, so as not to get ink in the debossed part of the word “celebrate”. This panel was then layered on a piece of DSP from the Wood Textures stack, and a piece of the Coffee Break DSP, before placing on a card base made of Thick Whisper White. This is a quick and fun card to make! 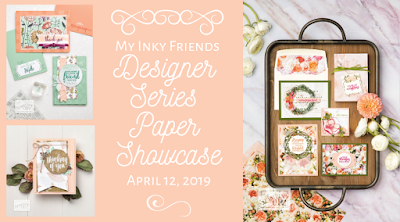 I hope that you raise your glass to my Stampin’ Blend projects. Thank you for visiting. You can now go backwards to Sara's February Projects or forward to Shelley's April Projects. I love, love, love the celebrate card. All your projects are super adorbs. I definitely need that wine stamp set. Super cute projects. All of them. Thanks for sharing! As I scrolled down, the cards got better and better with the green beer as the grand finale! I love it!!! The celebrate card is amazing. The sentiment really pops! Super cute cards! OH MY GOSH! These are so amazing--great use of papers--such fun uses of the Wood Textures and the stamps. Plus, the Blending is awesome! All your cards are great, Staci, but I LOVE, LOVE, LOVE the green beer card! You are brilliant, as usual! What great variety! Love the last technique card and great staging for your photos! Your cards are wonderful! My favorite is the green beer one! Just perfect for March. I will need to try the scribble over a debossed image. That's pretty cool! LOVE your St. Patty's green beer! 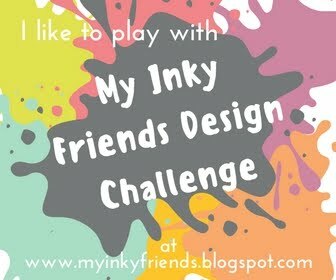 Adorable designs and coloring!! I agree with Kris, they just kept getting better and better as I scrolled down! The Celebrate card is simply awesome, and I love the shading you did when coloring the beverages.